I cannot wait to read this!!! I adore Jhumpa Lahiri. I feel like I slip into a trance when I read her words. I’ve been a fan of Jhumpa Lahiri’s since reading her first novel The Namesake (2003), and I moved from there to her short stories, including the Pulitzer Prize–winning collection Interpreter of Maladies (1999). I will read anything she writes. 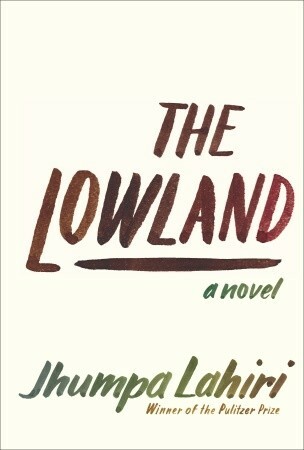 So when her second novel The Lowland (2013) came out last year, I jumped at the chance to read it. I quickly put my name on the library list, and then I had to wait many months to actually get my hands on it. It was worth the wait. ← He Has A Spider On His Cheek. But They Can’t Find Him. Oh! This is Florida!